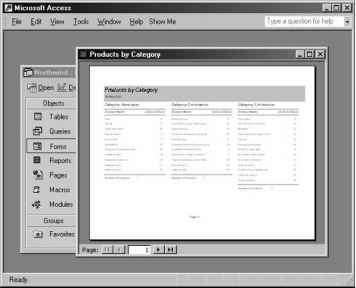 You can open a Microsoft Access report from Microsoft Excel. The following procedure demonstrates how you can display an existing Access report straight from Excel. & "Office\Samples\Northwind.mdb" strRpt = "Products by Category"
The example procedure below is more versatile, as it allows you to display any Access report in any Access database. Notice that this procedure takes two string arguments: the name of the Access database and the name of the report. 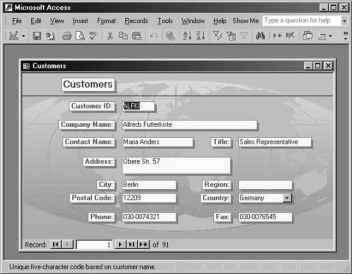 Figure 15-10: A Microsoft Access report can be opened by an Excel VBA procedure.